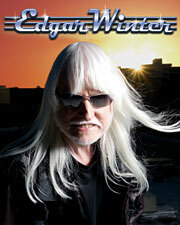 The GRAMMY Museum is pleased to welcome renowned multi-instrumentalist Edgar Winter to the Clive Davis Theater. A child prodigy who achieved international success early on, Winter has found an audience in every major entertainment medium - music, film and television. A prolific writer, as seen in classic rock hits such as Free Ride, Winter's music encompasses many different genres, including rock, jazz, blues and pop. From his critically acclaimed 1970 debut album, Entrance, he has demonstrated his unique style and ability to cross the genre lines. Having written and performed the international, instrumental hit Frankenstein, he was also the first to use a synthesizer on a hit record. His song Dying to Live, is featured in the film Tupac Resurrection, the biography on the life of rapper Tupac Shakur and was produced by Eminem. Winter continues to thrill audiences with his live performances, always remaining on the cutting edge of music and style. Hear Winter in discussion with GRAMMY Museum Executive Director Bob Santelli. After the interview, Winter will take audience questions and perform a selection of songs.